The outlining of the pattern is done in cream colour cotton skein. 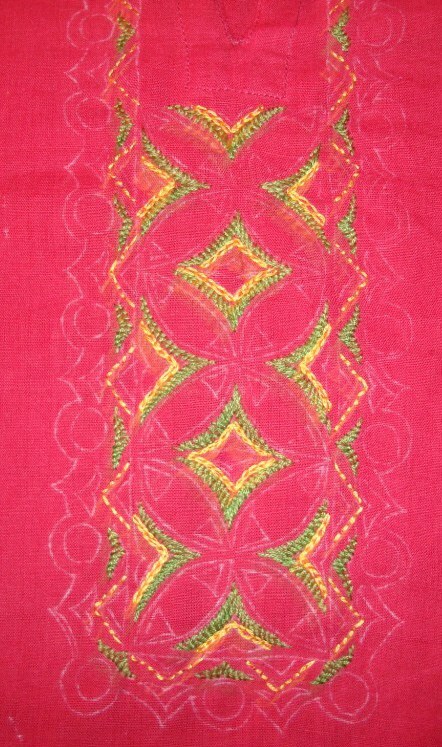 The completed outline in chain stitch. 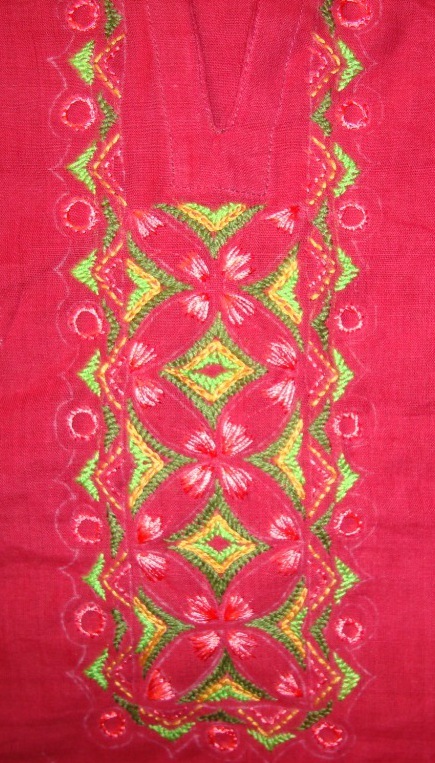 The embroidery stitch details are completed with this thread. 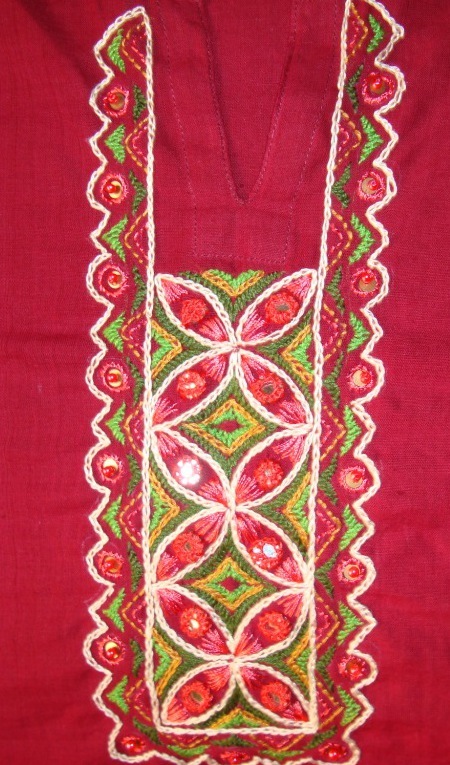 In this picture, the yoke is embellished with mirrors, sequins and red beads. 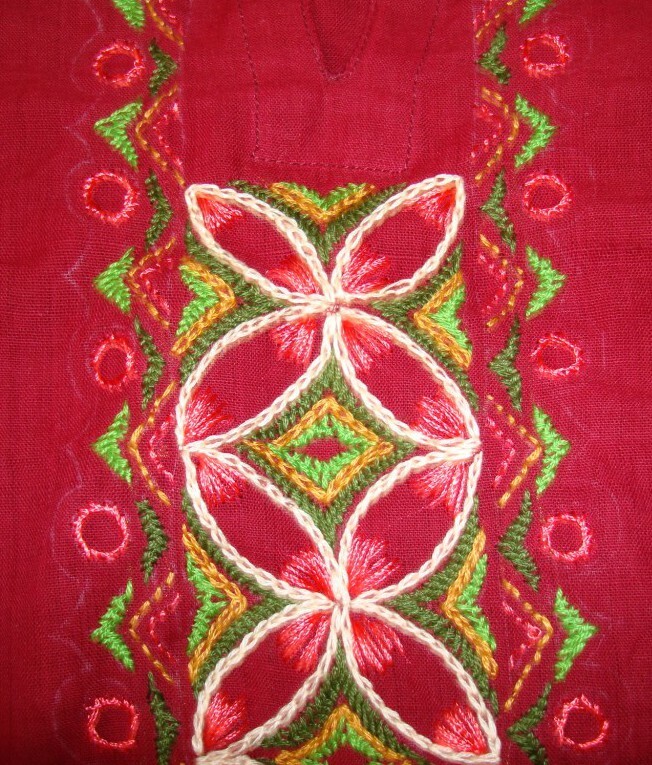 This is a round necked tunic with v-shape in the centre. 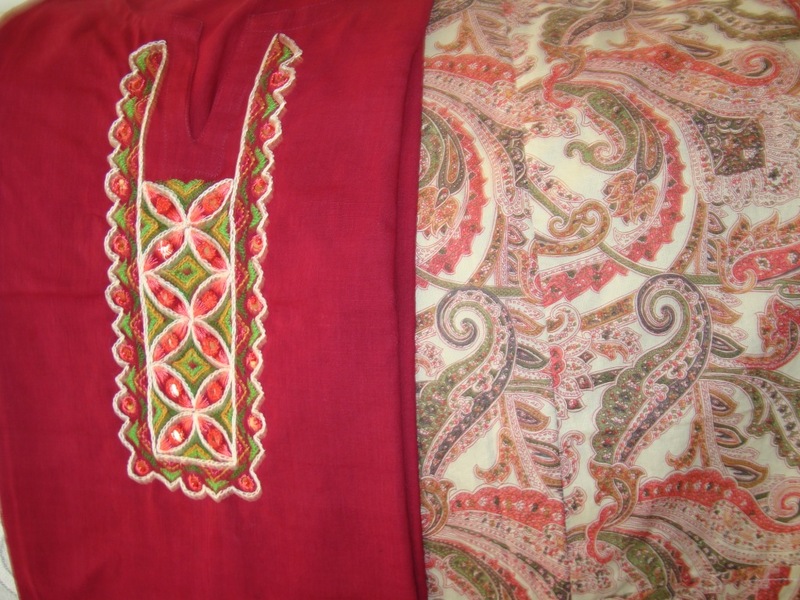 The pattern was designed accordingly to suit the neck. 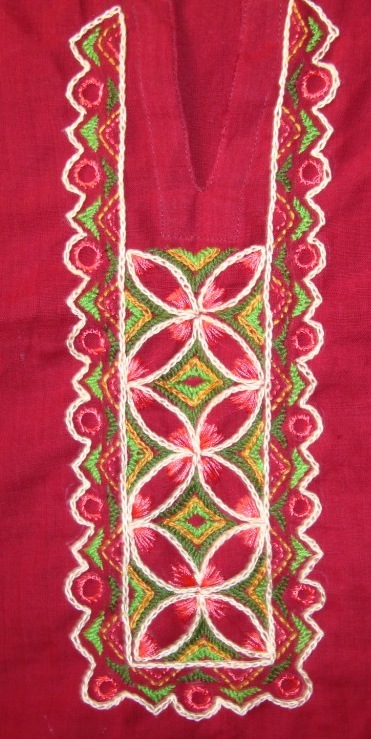 Maroon is a very common colour in Indian dresses. To have design something unique is always a challenge. 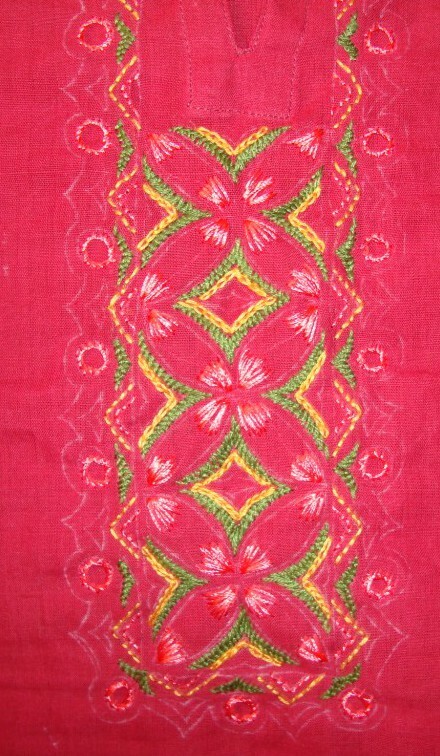 Though I have used a few colours of thread to embroider the pattern, mirrors were the main highlight. The space around the placement of mirrors were embroidered with colours chosen from the printed fabric. 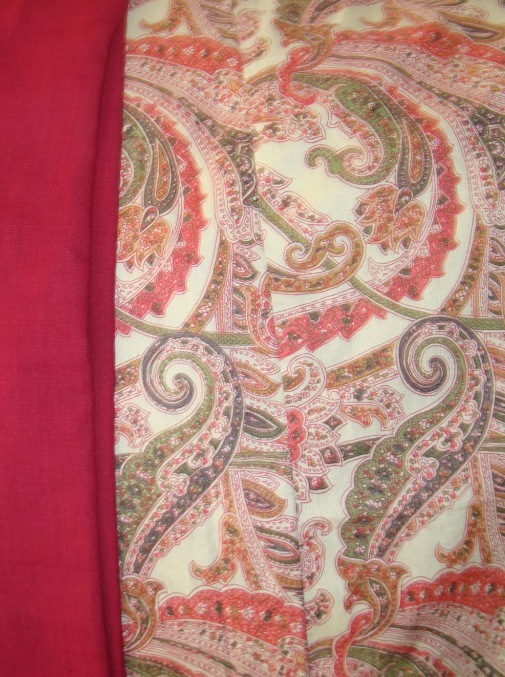 The next colour was peach, for this I chose silk thread instead of cotton skeins. satin stitch, back stitch and stem stitch were worked with this thread. 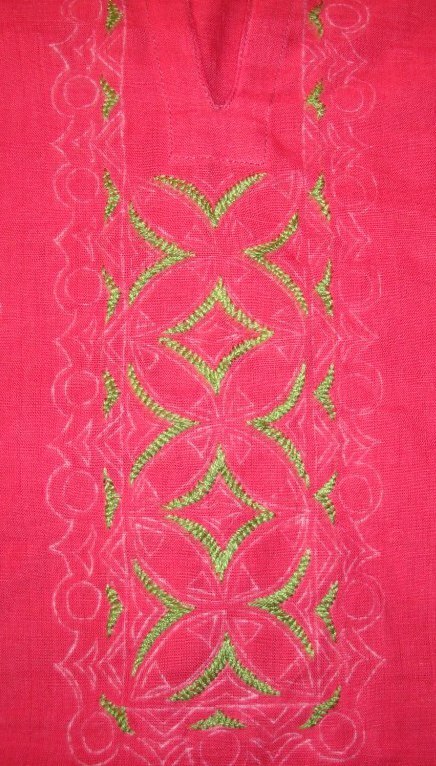 After peach silk thread, parrot green colour was used to stitch herringbone filling on the pattern. Golden yellow colour cotton skein was used to work, back stitch and chain stitch on the pattern. And I started the outlines with cream colour cotton skein. The last few details on this embroidered yoke on my next post. First colour was medium green, herring bone filling stitches were made with this thread.